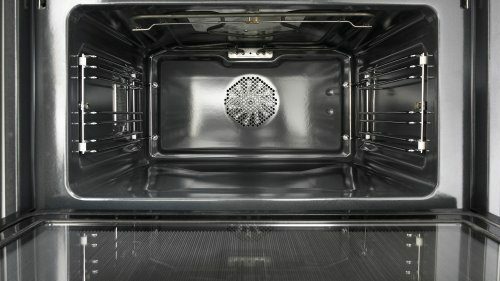 A microwave oven is an indispensable tool in any modern kitchen. It allows preparing tasty and healthy food to support you in your life on the fast lane. Advanced technology makes sure the food is evenly thawed or heated. In addition to microwaves, these appliances also allow cooking with grill or hot air. 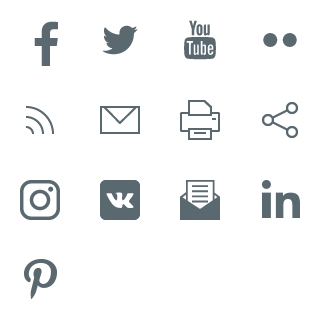 Thus, a built-in microwave oven can also be used as a conventional oven. Needless to say, they are equally impressive on the outside. 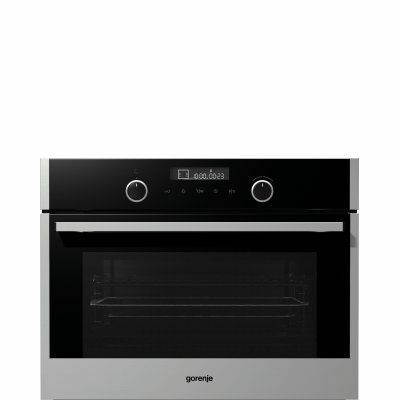 They are designed to match the rest of Gorenje’s built-in family of appliances. Because of Inverter technology the energy is evenly distributed instead of pulsating. As a result, the food retains its initial structure, including its vitamins, minerals and fibres. 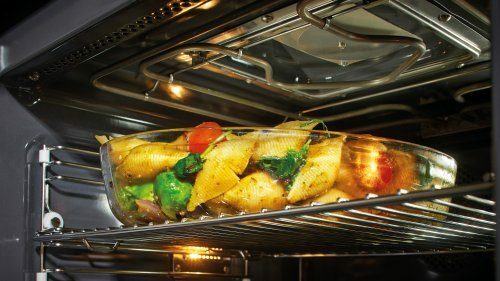 The advantages of the even energy distribution are particularly welcome when reheating or defrosting, and when cooking liquids. The overall microwaving time is shorter, which lowers energy consumption as well. 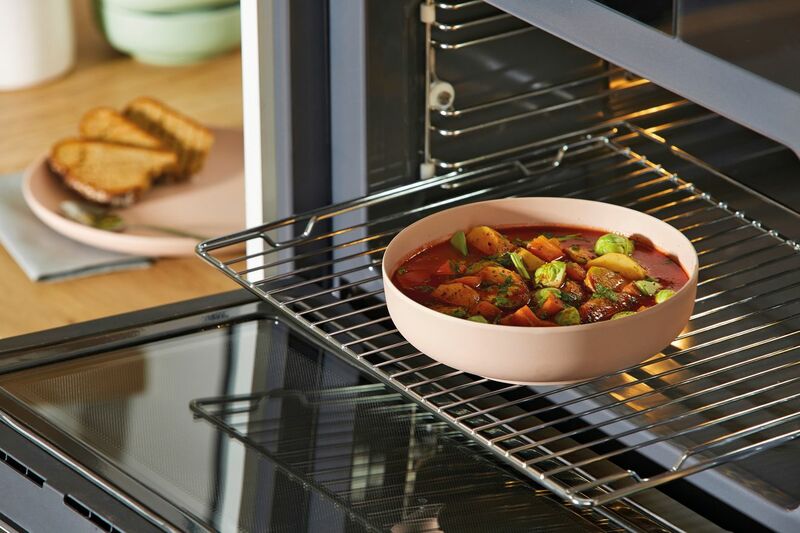 The Stirrer technology permits a standard-size baking tray to be placed in an oven. 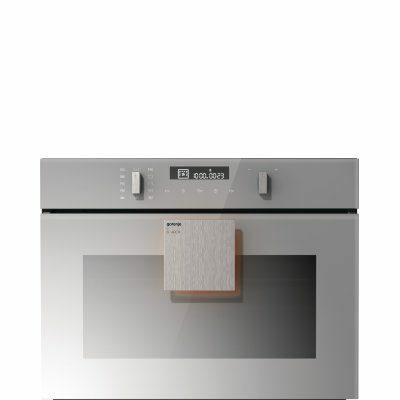 The oven’s entire width is used, saying goodbye to conventional turntables and uneven heating. The advanced microwave distribution system heats the food uniformly across the entire volume. Built-in combined and microwave ovens deliver all the advantages of microwaves, hot air, and grill. 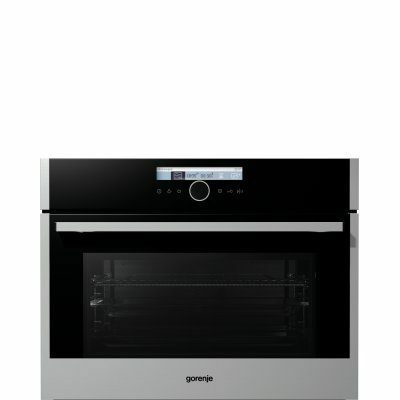 The five-level microwave power setting speeds up the cooking process while the hot air makes sure the food is well done. Combined operation, using grill and hot air at the same time, leads to excellent results when cooking large chunks of white meat, while grill and microwave combination will speed up roasting smaller chunks of meat, baking pizzas etc. 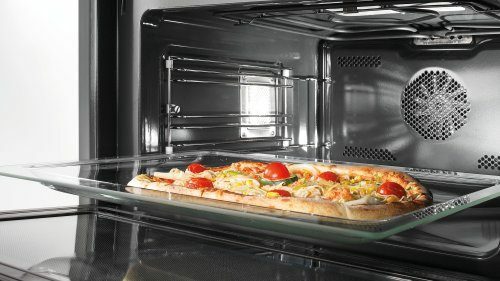 Built-in microwave oven can also be used as a conventional oven. 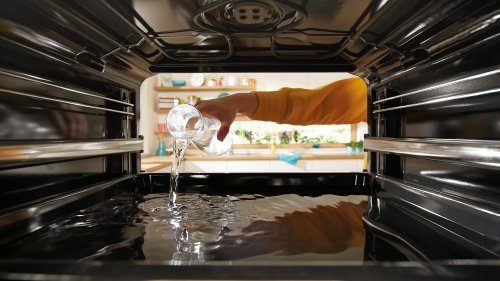 Microwave oven door is free from any notches or edges that could harbour impurities. The interior glass panel is removable. Such design allows keeping the door clean even with simple wiping.